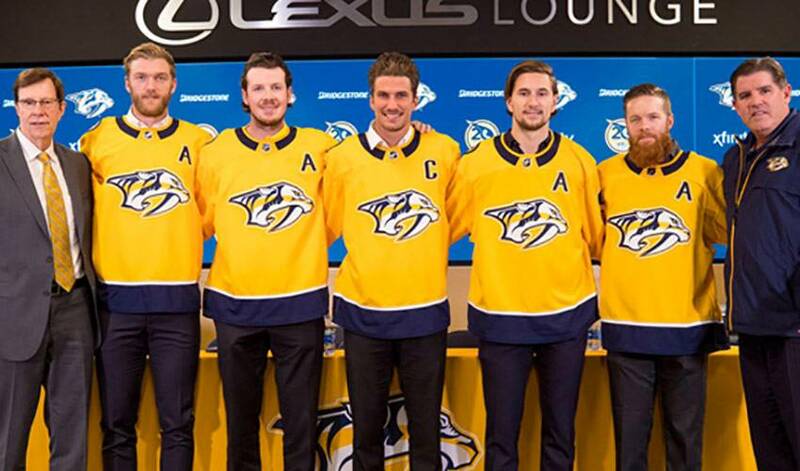 When Josi was announced as the player who will wear the ‘C’ on his jersey for the Predators, those who spoke of the 27-year-old defenceman praised the person as much as they did the player. Named the eighth captain in franchise history (seventh full-time), Josi has made significant contributions inside and outside of the arena since his NHL career began with the Predators in 2011-12. “This is the right time to name Roman the captain of our franchise,” said general manager David Poile. "Not only is he one of our best players, but he's also become one of the top defencemen in the entire League. He's respected by his teammates, coaches and opponents and he represents our organization and logo with the utmost class and integrity on and off the ice. I know Roman is ready to become captain and I have no doubt he will fulfill these duties with the same passion we've become accustomed to seeing from him day after day." People in the Nashville area have also become accustomed to seeing Josi make a difference within the community. The Swiss native has been a staunch supporter of Best Buddies, a program that raises money for children with intellectual and developmental disabilities. The program is represented in over 100 schools throughout Tennessee. In April, Josi escorted a group of kids to a local Best Buddies Gala and Casino charity event. And just what’s come to be expected from one of hockey’s top blueliners. A full-time assistant captain last season on a Predators team that reached the Stanley Cup Final for the first time in franchise history, Josi, the 38th overall pick in the 2008 NHL Entry Draft, is one of five NHL defenceman to register at least 40 points in each of the past four campaigns. The Bern, Switzerland native netted 49 points last season - his sixth with Nashville - including a career-best seven power-play goals, which tied for the team lead. In last season's Stanley Cup Playoffs, Josi led Predators defencemen and was second among all Nashville skaters with 14 points in 22 games. His six goals set a franchise record for most goals by a defenceman in a single postseason. “I'm really excited and it's obviously a huge honour,” said Josi, who set the franchise record for points (61) in a single season by a defenceman in 2015-16. “I've had some really good guys to learn from with Shea Weber and Mike Fisher in the time I've been here. I know we have a great leadership group, a great group of guys, so I'm really excited. I was really happy when coach told me, but it's definitely something I never dreamed about when I was a little kid. You always dream about playing in the NHL, but being a captain of an NHL team, it's definitely something I never thought about. I'm just really excited to get going." Head coach Peter Laviolette is confident his newly-minted captain will be ready for whatever challenges lie ahead. “He is respected by all of his teammates and his peers,” said Laviolette. “His work ethic, communication skills and accountability to his team make him the perfect choice to lead this group moving forward."